Today I want to share with you 3 of my favorite field guides for home use. That sounds kind of funny, but what I mean is, you don't have to be an expert (or even close) in any of these areas to be able to use and enjoy these field guides. None of the 3 are all-inclusive, by any means, but they have all been put to the test, many times. They are the ones I turn to first! For me, it makes a big difference when I know the name of what I'm looking at, growing, or putting out seed for. It takes it from being a vague entity to something I can relate to on some level. Once you know the name of that plant, insect, or bird, you've taken the first to step to learning how to care for it (or how to discourage it from coming around, as the case may be...) Not to mention, the thrill of finding and identifying something you've seen can't be beat! The first 4 chapters are full of good general information, including some of her personal experiences with birdwatching, how to get started, and some basic tips for improving your noticing and identifying skills. She also talks a bit about the book and how she's got it set up. Now we get to the real genius of this field guide. Each page is packed with information, specifically tailored to help the beginner (that's me!) figure out what that bird is out there. In addition to a color photo, she has checklists, which include things like First Impressions, Listen Up! (a description of their calls), Telltale Traits, and where to find it. There's also tips for what the bird likes to eat in the wild, along with what they will eat from your garden, your feeders, nesting habits, and additional "Tricks and Treats" to attract this type of bird to your yard. To round it out, she has a quote or two and even some of her own experiences or thoughts at the bottom. It has been so helpful! Let me tell you of just one experience we had using her book. We had put up some new suet feeders in our backyard, and we kept seeing a very large brown bird with a black bib eating at the feeders, often in pairs. When the birds flew away, we noticed the undersides of their wings were red. The kids and I ran in to check our book. As we were going through the various sections, we came upon the entry for "Northern Flicker." We went through the checklists: First impression: big, brown woodpecker--ok. Bigger than a robin--check. Dramatic black swash across breast--check. Colorful, golden or reddish undersides of wings and tail--YES! Eats suet at the feeder--YES! Birdcall: wicka-wicka-wicka--yep. We were so excited to have identified our feathered friends out there! Now even my littlest can pick them out at a glance, and they'll come running to tell me when they see them at the feeder. One day we had 4 pairs taking turns at the feeder! 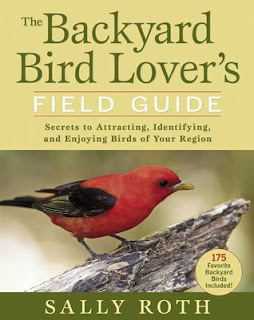 As the title suggests, this book focuses on birds you are likely to see in your backyard, particularly at your birdfeeders. Obviously, that leaves out a lot of birds! So, if you are a serious birder, this book will probably old hat--though still enjoyable for all the extras. For me and my little ones, it has been just the right introduction to watching and identifying birds. In fact, she has several other books out with tips for gardening to attract the birds you love to your yard. I enjoy this book so much, I pretty much want to buy all of them! Like the bird book, this one starts off with some good basic information: anatomy, common myths debunked, and so forth. Then it moves into creating a butterfly-friendly garden, including information and projects that you can do with your kids. Chapter 3 goes into to raising butterflies, and breaks it down into very simple, do-able terms and ideas. One section is "Learn to hand-feed butterflies." Doesn't that sound awesome?! Next is a how-to for starting your own butterfly farm--and again, he makes it sound very achievable, even for elementary-aged kids. Then finally, he gets into a field guide of most common species. 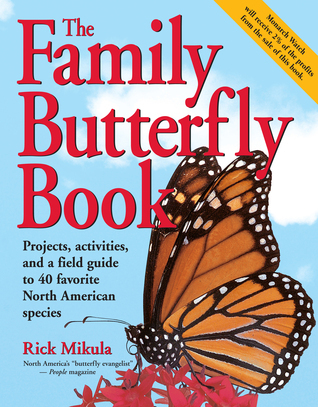 The field guide portion is divided into sections based on type of butterfly. Each page has a large color photo, a map of the range, and color drawings to show the eggs (including where they can be found), the caterpillar, and the chrysalis. The information for each butterfly also includes favorite host plants and nectar plants. The last chapter talks about how to share your love of butterflies with others. In addition to being highly informative, this book is also a fun, engaging read. Mikula's got a sense of humor to go along with his passion for butterflies. The field guide section is pretty basic, but the hands-on projects make up for it, I think. The best part of this book for me is that it de-mystifies butterflies. How to find them, how to handle them so as not to hurt them, even how to raise them and feed them! So cool! As with the other two, this book starts out with the basics. 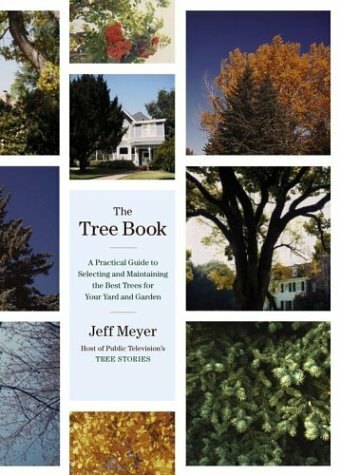 The first 4 chapters are the "How-to" section, including choosing a site, planting and caring for your tree, and handling problems that arise. From there it goes into the trees themselves, divided into three main sections: shade trees, evergreens and conifers, and flowering and fruit trees. Each section then lists in alphabetical order many different types of trees, often with subspecies and particular cultivars under each, for example: under "Walnut Family" he talks a bit about both the Black Walnut and the English Walnut. The descriptions also include a drawing of the mature shape of the tree; as well as drawings of leaves, nuts, flowers, cones, and fruit; top reasons to plant; any special requirements of the tree; and problems or diseases you might encounter. I checked this one out of the library so many times that my husband finally bought it for me for Christmas one year! Now I should say here: this is not the book I would choose to take out on a hike with me to identify a tree along the trail. It doesn't have any color photos (except on the cover), and there's not the easy, quick-reference coloring or tabs that trail guides tend to have. It's geared more for learning about the trees in your own yard, and especially for choosing which new trees to plant. Reading this book made me look at the trees in my yard with whole new eyes. It has given me confidence when buying, planting, and even pruning trees. In fact, just glancing through it to write this review makes me want to read it again! It's been awhile since I've looked up what we've got. I think I could use a refresher course! If you check these out, you'll have to let me know how you like them! Next, I really want to find good weed and insect guides. Do you have any favorite field guides? Do you get excited about knowing the name of a tree or butterfly? Do tell!